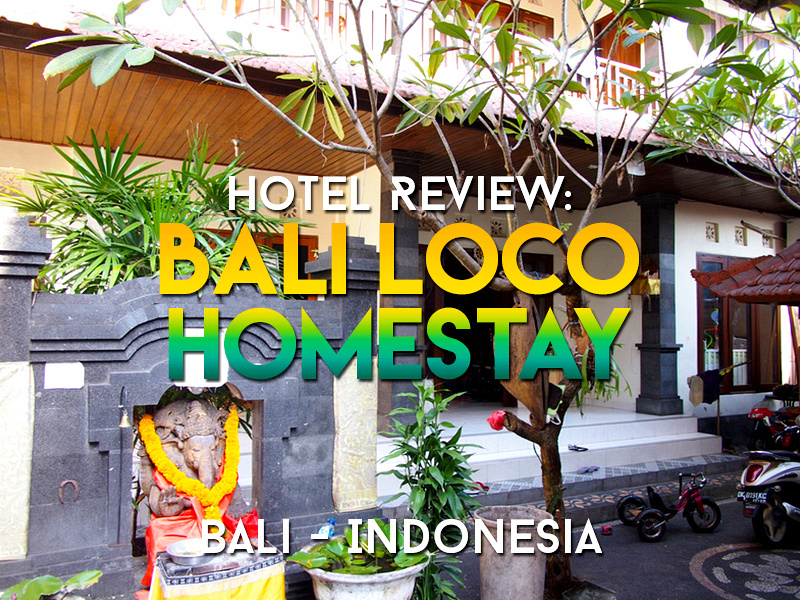 I stayed at Bali Loco Homestay in Seminyak, Bali. I was looking for a budget hotel on Petitenget Street so this guesthouse was the eventual pick. 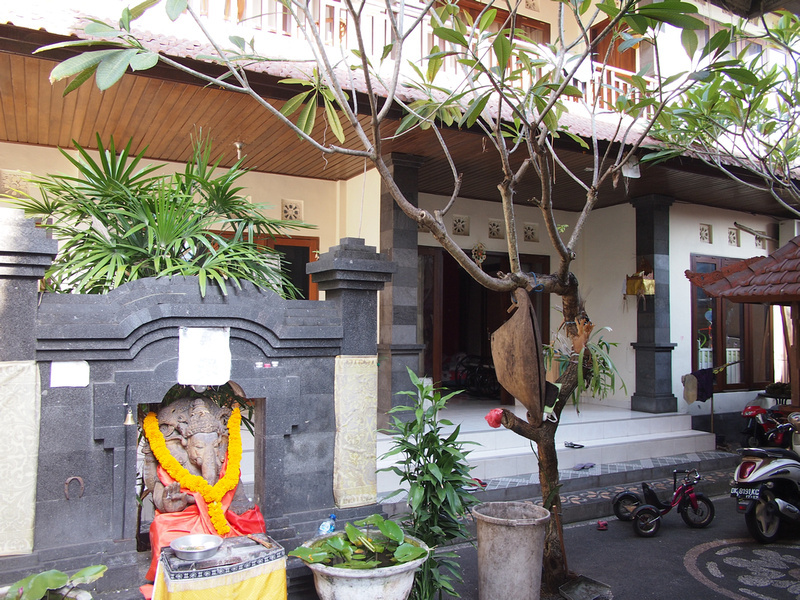 Technically the property is listed as “RedDoorz @ Petitenget Street Located at Bali Loco Homestay”. RedDoorz is a budget accommodation brand in Southeast Asia, though Bali has been the first time I’ve seen it. It is a booking site that has also partnered with budget hotels to form an independent hotel chain. On Google Maps it shows up as RedDoorz @ Petitenget Street, but when I showed the name and address to my taxi driver he said it was the travel agent name and he wanted the other name, so I gave the Bali Loco Homestay name. The homestay is located at the top end of Petitenget, which is gradually getting hipsterfied like the rest of the street is. It’s located next door to an artisinal donut shop, which gives you an idea of how far the streets gentrification has come. 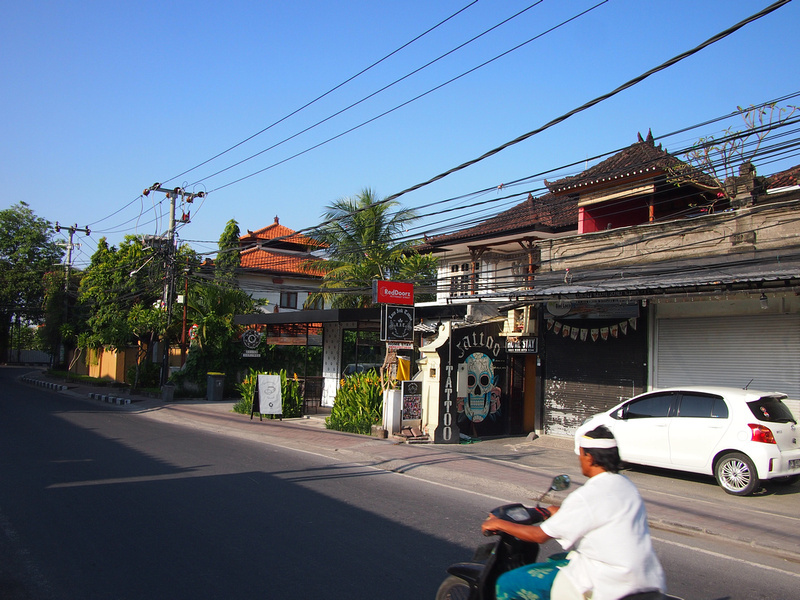 It’s about 20 minutes walk from Seminyak Village, which is the unofficial centre of Seminyak. 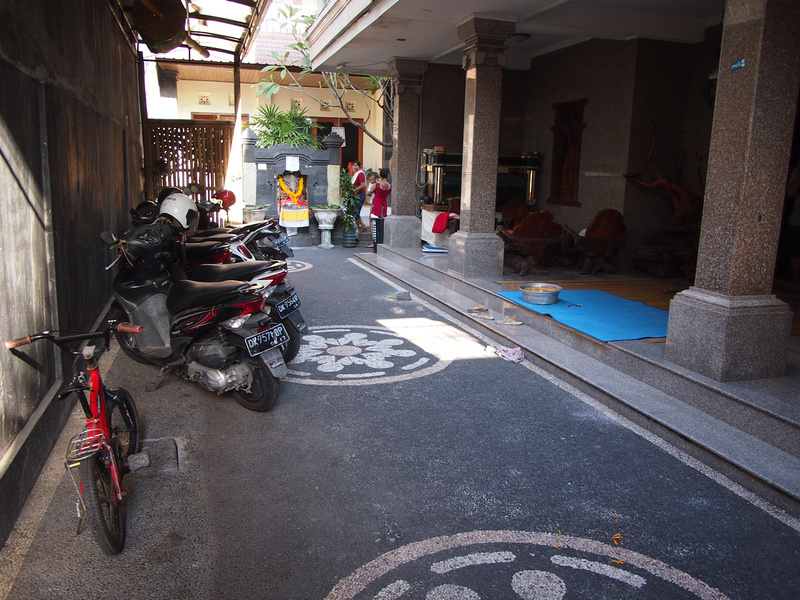 The homestay entrance is you typical Balinese-style with a main building at the front and another building at the back with the rooms. I arrived late at night and there was no one in the front building. It took me a while to work out that the reception was part of one of the rooms on the ground floor. I got a single room with bathroom and air conditioning. 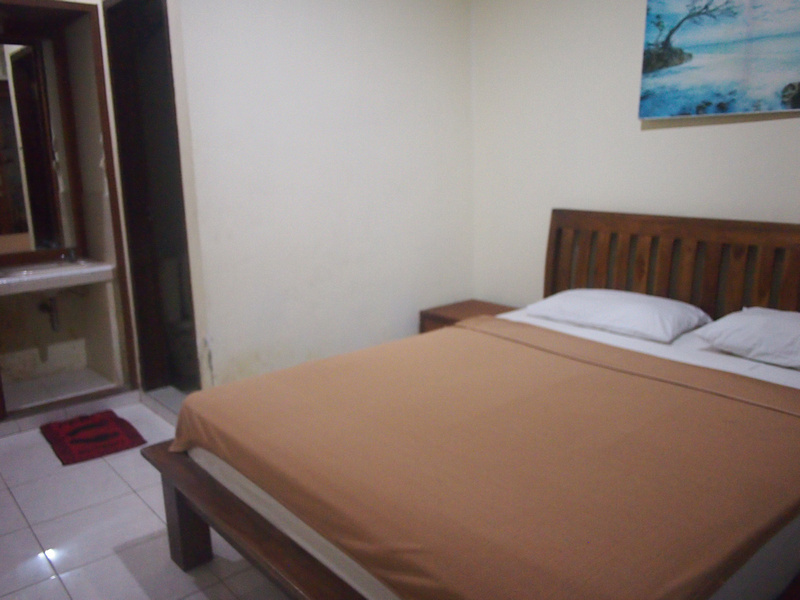 The double bed was comfortable to sleep on and the room was spacious enough. The front entrance opened out onto a balcony with floor-to-ceiling glass, so it was a bright space. The room itself was somewhat worn out, with scuff marks on the wall and a general feeling of getting a bit worn out. The bathroom was oddly designed with the sink outside of the bathroom. I have seen much smaller bathrooms which still had a sink, so I’m not sure what the reasoning was here. And to make it more bizarre the sink was inside the wardrobe, so you had to lean in a bit to reach the sink. There was a hot water system in the bathroom, and the water took a while to drain. There was internet in my room with a decent signal, though my laptop couldn’t find the signal on the second day, even though my phone could. There was no breakfast service here. Overall this was an adequate budget accommodation option that was ok for a cheap place to crash. 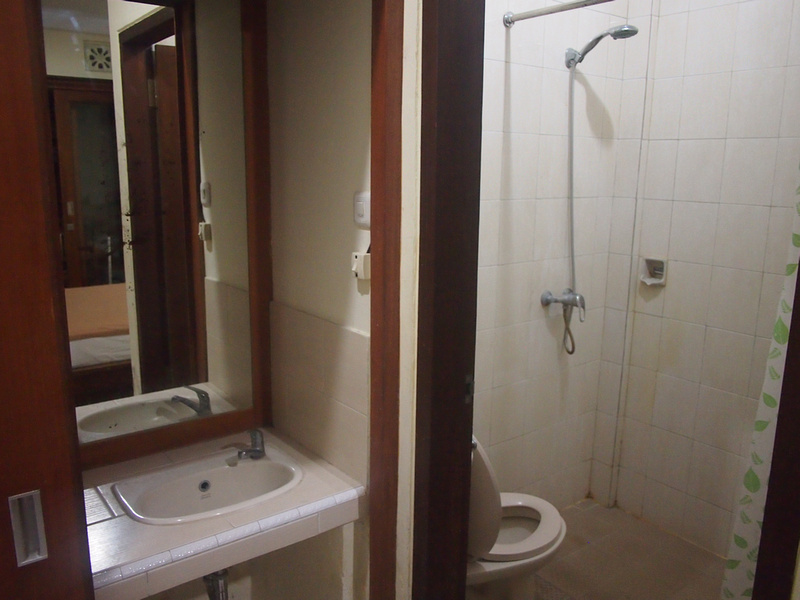 I paid $13USD a night for this place, so if price is your main concern then this will do fine. For a few dollars more though you can find a nicer place than this. Book the Bali Loco Homestay online or search for more hotels in Seminyak.